Michael Berkeley’s guest is American choreographer Mark Morris. With music by Scarlatti, Handel and Lou Harrison. Over the last 40 years, Mark Morris has established a reputation as the most musical of choreographers. Inspired by both baroque and twentieth-century music, he’s most famously choreographed Purcell’s “Dido and Aeneas” – he danced both Dido and the sorceress himself - and his witty version of The Nutcracker, “The Hard Nut”, has been so popular that it’s been staged every year for almost 30 years. 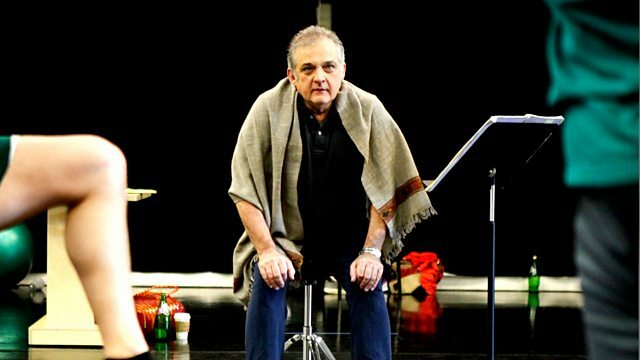 Mark Morris has worked in opera too, directing and choreographing productions for the Metropolitan Opera, the English National Opera and The Royal Opera, among others. He tours extensively but home is the Mark Morris Dance Center in Brooklyn, which runs outreach programmes into the local New York community. He’s received numerous awards, including the Leonard Bernstein Award for the Elevation of Music in Society. In a humorous and revealing interview, Mark Morris looks back on his childhood in Seattle and his childhood passion for music and dance. It wasn’t very socially acceptable for a boy to become a dancer: “If you were in dance, you were a sissy. But I also was a sissy so what’s the problem?” He talks too about losing many friends to AIDS, and fearing that his own time was limited, a pressure that created a manic burst of creative energy. Music choices include Germaine Tailleferre, a French composer from the twenties whom he believes is unjustly neglected; Scarlatti; Handel; Lou Harrison; and Erik Satie. Performer: Marc Clinton. Performer: Nicole Narboni. Orchestra: Cabrillo Music Festival Orchestra. Conductor: Dennis Russell Davies. Singer: Mária Zádori. Singer: Paul Esswood.